The place is vibrant with little details that say 'a woman's touch' was the inspiration for the interior design. This is why it feels like home. Think of it like how your mom would add finishing touches to your home. 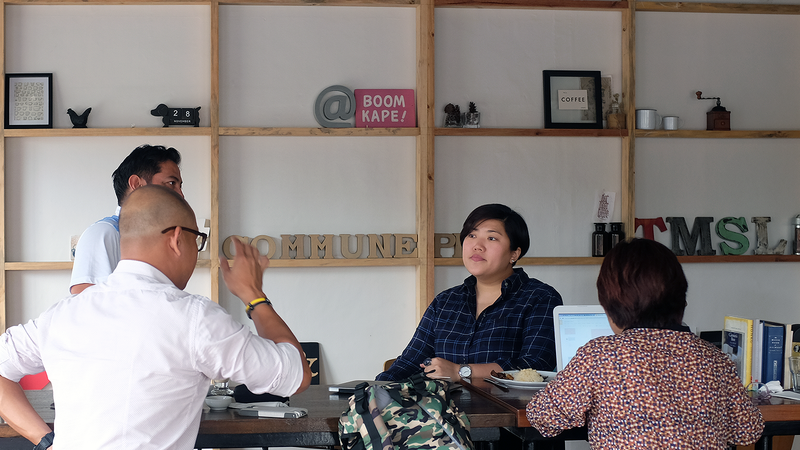 Commune is the building on the corner of polaris street in poblacion. You can not miss it because of the huge glass windows and the long balcony on the second floor. The thing about Commune is that it screams 'a woman's touch' in its interiors. Most of the furnishing is custom made which gives this unique feel whenever you stay. Huge windows with custom made furnishings! There is the long bar in the middle with the high table on the left and the low tables on the right. 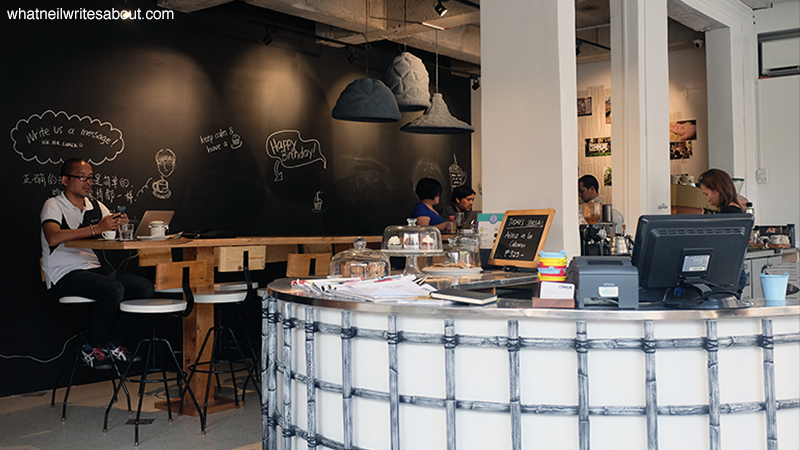 The huge windows give this feeling of openness that makes the place perfect for either working calmly or relaxing with a group drinking coffee. 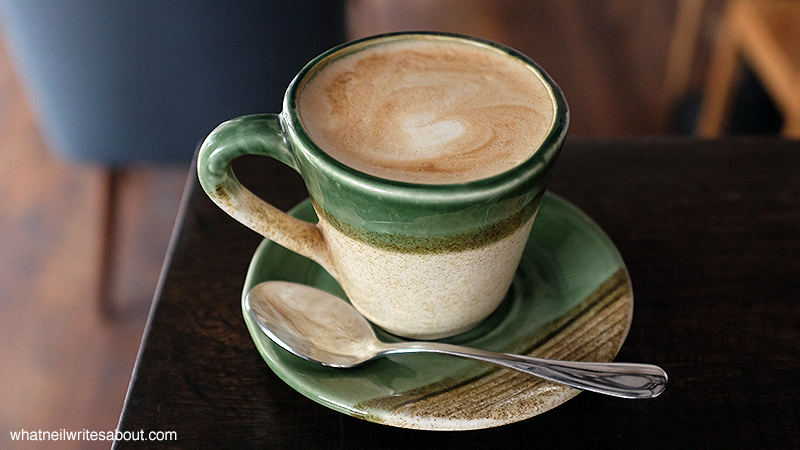 They offer the coffee classics like the Espresso, Capuccino, Mocha, Latte and the like. 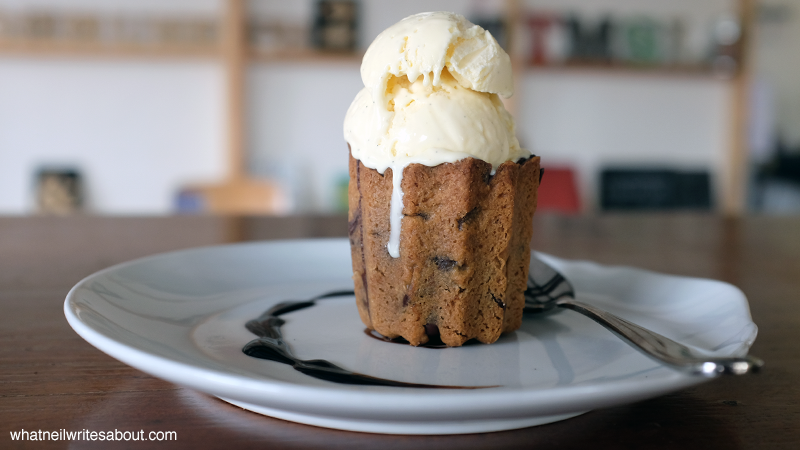 To pair with your coffee they offer decadent deserts like Cookie Bar's cookie shot glass and Fog City creamery's Ice cream. You can even have the cookie shot glass and the ice cream in one. Cookie Bar's Cookie Shot Glass with Fog City Creamery's Vanilla Ice Cream! The beans they use are all locally sourced. They proudly market their Philippine coffee advocacy. I personally prefer the local beans while their house blend is has a nice balance between flavors where it has the coffee kick that is strong enough to keep you up but the flavor never over powers which is good if you will be having this blend as your regular beverage. I highly recommend trying their Commune blend prepared via the Aeropress. 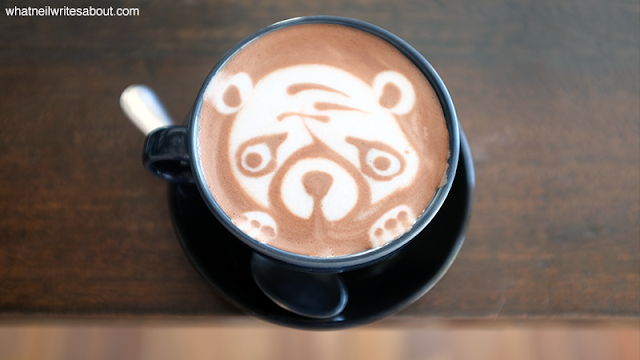 They also offer foam art for your cappuccino. In this case we got a puppy trying to hug you. Isn't that just heart melting? 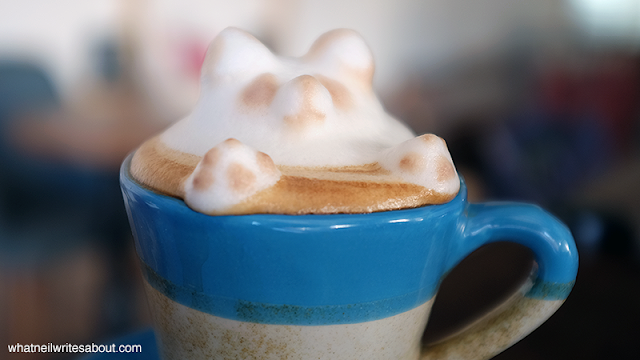 A bit of warning though, the foam tends to add a lot of air into your drink and may affect the flavor. A puppy trying to hug you! The service is wonderful. The waiters and baristas have made a habit of being near your table should you have any additional request. There were times where the wait time was extended because they were still in soft opening but I think this will be ironed out after a while. 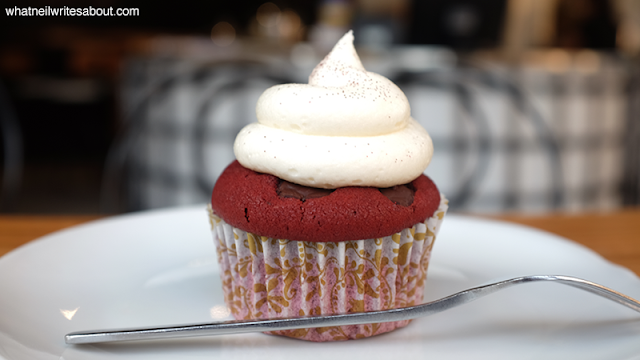 One of the better Red Velvet cupcakes I've had. 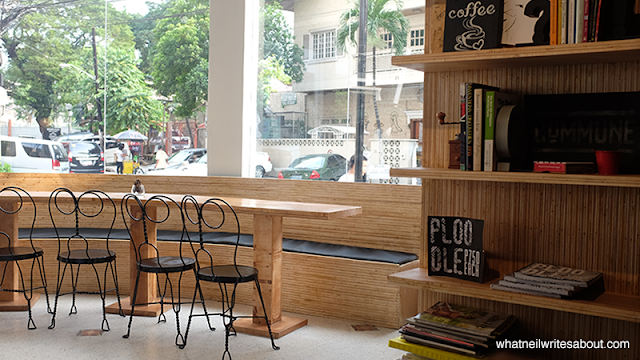 The basic espresso starts at Php 90.00, while the rest of their coffee line can vary from Php 110.00 to Php 158.00. Their sandwiches, their pastries and their deserts start at Php 75.00 and can reach Php 400.00 while their classic rice meal will set you back Php 220.00. At the end of your stay, you'll also be charged an extra ten percent for their service. As you can see their prices are reasonable and within the expected prices from a coffee shop.